While many people decorate their homes with a Christmas tree during the holidays, some Muslims adorn theirs with fawanees (lanterns), fairy lights and crescent-shaped lights during Ramadan. However, A Muslim housewife in the US has come up with a creative way to decorate her (and people’s) home during the holy month. Say hello to the “Ramadan Tree”: a crescent-shaped Christmas tree, complete with fairy lights and a star. The tree-maker, Samar Bazzi, decided to give Ramadan a more festive feel when she became a mum. She wanted her three children to feel that the holy month was not just a time to get closer to God, but a beautiful celebration too. The 29-year-old artist made her first tree in her basement; it took her 20 minutes to make, using an artificial Christmas tree. However, now it takes her from two to five hours to make the festive trees to ensure that they don’t fall apart. Samar’s trees come in two colours: green or white, and they cost $150 each to buy. A good number of people have shown interest in her newfound business; since January, the tree-maker has sold 40 trees. 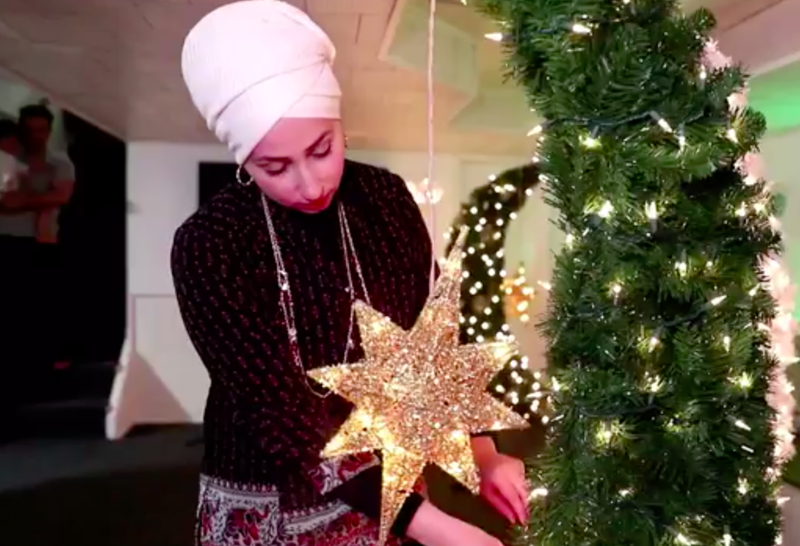 Some people were critical of Samar’s idea, which they said was an attempt to fold Christmas into Ramadan, or argued that the trees would be confusing for children. But Samar said that "that's not my intention. Honestly, all of us that make them just want to make our children happy. That's my main reason." Ramadan is expected to begin on Tuesday, 15 May, and end on Thursday, 14 June. You can buy a tree by visiting Samar's Facebook page.